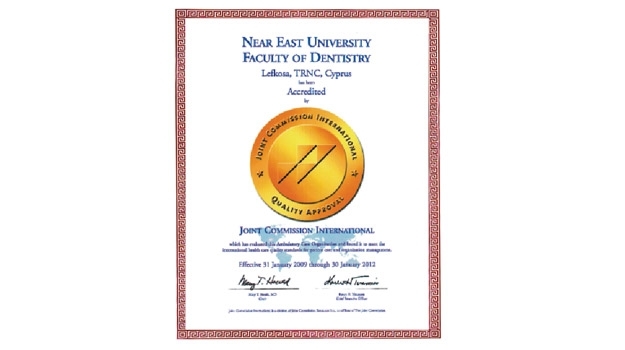 Near East University Faculty of Dentistry has been accredited by the Joint Commission International for Quality Approval. Joint Commission International which has evaluated Near East University Hospital and found it to meet the international health care quality standards for patient care and organization management. The certificate is effective from 31 January 2009 through 30 January 2012.